Having peace of intellectual and youth of spirituality, this place is ready to offer whatever it possesses by the grace of God and divine Nature. The dense forests covered with dew of early morning which mist has left behind as a tell-tale sign of her presence, coffee plantations on steep slopes, falling and flowing Cauvery River from a distant place refreshing and nurturing the flora and fauna and its harsh yet soothing noise, a golden yellow-orange ritually spread on the sheet of morning sky acting as backdrop to the contrasting green-brown small-big peaks, and many such vivid sceneries of Nature are a constant companion of those choosing to travel Coorg. Hear the name Kodaimalenadu and it rarely strikes of Kodagu in Karnataka, if knowledge of places is limited. 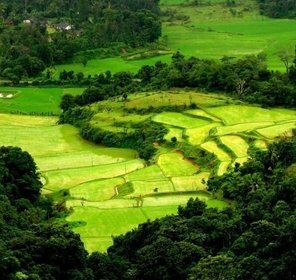 Coorg is the name with which masses remember this hill beauty of south which is nothing but the anglicized version of the local name of the place- Kodagu. Getting caught in names and in their origins is easy when it is southern part of India being discussed. The rich language heritage which is witnessed on Coorg tourism is not just in terms of culture or tradition but also in terms of Nature and history written in forts and palaces. Past of this place under various rules and kingdoms is remembered in these relics and preserved monuments. The sleepy town of Madikeri is one of the many places affirming and emphasizing this fact and thus making Coorg suited for an escape richer in experience and most awaited by many vacationers. And over and above all the sightseeing, there is joy of adventure in check but waiting to be unleashed on a single cue! Knowing India would ensure one piece of knowledge for sure- go anywhere and there in no chance of missing the sound of temple bells and a sense of belongingness that follows. Add to it the elements of Nature like versicolor fauna amidst equally vivid flora in the ecology of altitude and the picture of Coorg becomes clearer as well as more enchanting. And there is always history of the place to settle down with the missing links. 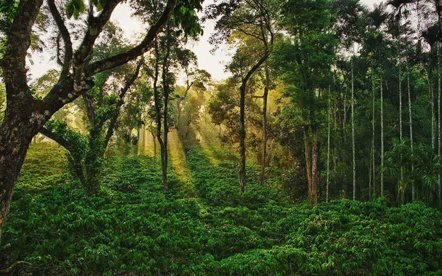 Tour Coorg and see best of this place in its attractions. Dedicated to Lord Shiva, the temple is among the oldest in the region built in 1820. While visiting the temple in November during a festival celebrated here, the combination of Gothic and Islamic structure is hard to miss. Built just ten years before Omkaresahwar Temple, its deity is Lord Igguthappa. The holi festival has a different color altogether when celebrated in this premises. Architecture which is prominently found in Kerala could be seen in this temple nestled at convergence of three prime southern rivers, namely, Sujyoti, Cauvery and Kanike at the Brahmagiri Peak. Bodies of two great souls, Hazrath Sufi Shaeed and Sayyed Hassan Sakaf Halramir rest here making the place worthy of the respect and homage that it receives from people of all faiths. Sacrifice often results in lasting memories, just as this place represents. Doddamatlthe, home to this lake, receives many tourists and visitors, especially during Gowri Festival. 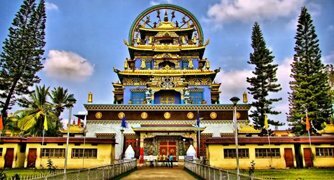 Located in Bylakuppe, the place is a great attraction for the believers of Buddhism as well as those who seek to know Kodagu as much as they can on their trip. With gothic styled architectural construction dating back to 1792, one gets easily hooked by the antiquity of the existence of this church as well as enamored by the beauty of the art. Also read as Irpu and Irupu, the fall has its origin in Brahamagiri as a stream of Lakshmana-Theertha River, coming down through the hill, later joining with River Cauvery. Area around has a famous temple as well as a Protected Area. Other variations of this name are Abbey and Abby. The sight of the water taking plunge for a glorious fall is indeed worth. River Kumaradhara takes a mighty jump from around 200 ft. Some leg-ups on rocky structures, and these falls would be in sight. 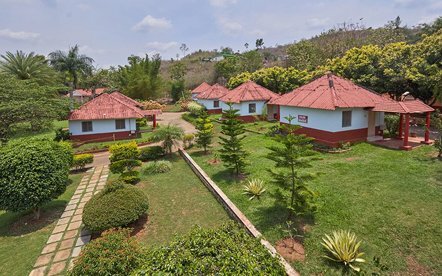 The greenery around and hilly area makes it an excellent place to adieu sun in companionship of beloved ones. Named after the river which flows through the park, it is a feat enjoyed by wildlife lovers and enthusiasts. 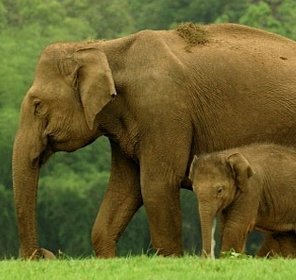 Situated between Kodagu and Mysore, it combines with other two National Parks- Bandipur and Mudumalai to make largest Protected Area of south. Walk on hanging bridge to reach this wonder Nature land and settle in treetop cottage for full vista of the place. One of the 21 wildlife sanctuaries, it is great for bird watching along with locating other fauna. If one wishes to see highest peak in the sanctuary- Kumara Parvat with 1,712 m, this is the place to be in. Named after highest point of the park- Brahamagiri Peak, it was established in the year 1974. River Borapole serves as its lifeline, where different animals and birds come for respite. Here, temple and the scenery around is sufficient for comfort. Origin of River Kaveri (Cauvery) has given name to this sanctuary which took this status in 1987. People with strong legs get a lot to test their perseverance. Known for moist deciduous forest, it is home to many animals and birds that give excellent reason to leave hotel for the warmth of Nature. Dubare Elephant Camp is a nice place in here to see the way elephants are reared and trained. Safaris are also enjoyed. If trekking is a loved activity, this place is heaven, to which journey starts from Honey Valley. The holy site of confluence of rivers Cauvery and Kanika, is revered by taking holy dip in the waters where it is believed that River Sujyothi also joins underground. It is a viewing point meant to take vistas of Nature as they are in Coorg. A water body on the Cauvery River, the meadows on one side and setting sun on the other, it provides an excellent site for picnic. This place is a favorite of the family holidayers, a picnic spot to revel in. It is the tombs of the kings of the place (names- Virarajendra and Linga Rajendra) and priest of the court. Built in 18th century, the site is reminiscent of the kingdom ruled the place. The fort is last few leftovers in the sands of time of Coorg, constructed by Muddu Raja in 17th century. Tipu Sultan later strengthened the fort and named it Jaffarabad, which was again reconstructed by Linga Rajendra Wodeyar II. The Palace inside is another feature of the fort. Visiting this dam which is located in Hadgur Village in the season of monsoon is the utmost delight. It attracts tourists from everywhere due to its height of 47 m.
Tadiyandamol Hills is the location of the palace built by Dodda Virarajendra in 1792. Made completely scenic with the seasonal flowering plants and artificial (and musical) fountains surrounded by the hills of Western Ghats, the place also has entertainment in toy train's ride. The town of Virajpet witnessed the construction of this landmark by Mukkatira Aiyyappa in the honor of King George V.
The second largest Tibetan settlement outside Tibet is this, located on NH 88. During Chinese aggression, monks and other follower fled to this area and settles as a town. 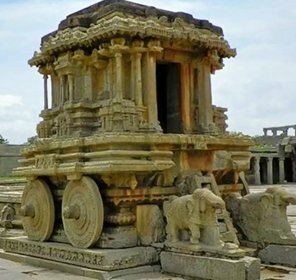 The sense of peace is actually deeply felt once here, especially in the attractions of place like Ingalakere Lake, Ganapathi temple, Rangaswamy temple and some well known and much visited monasteries. Tadiyendamol is a popular name to be heard while on a trip to this town. 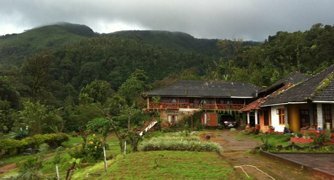 It is the highest peak located in Coorg and well known among the trekkers who take pain in locating best trekking sites of the area they are visiting. As usual, being famous opens a lot of opportunity and so is the case with the accommodation in Coorg. 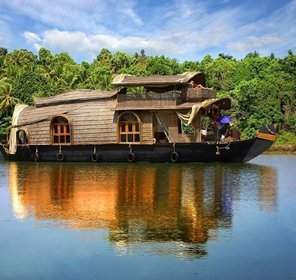 Hotels, resorts, home stays and cottages are some of the prime options vacationers can pick from. Relax and relish the freshness in the crisp mountain air coming from above the coffee plantations while enjoying breakfast. The services might vary from one place to the other but most of them cater to the general needs of the visitors. Like with other places, pre-booking before arrival is always recommended, especially when the place witnesses sudden rise in the number of individuals visiting the hill stations. With the above knowledge in climatic conditions of Coorg, it is easy to deduce that the time during October to April is the most enjoyed. However, that doesn't stop people from coming here to see lush greenery which is trademark of rainy season. The two airports, Mangalore and Bangalore are 136 Km and 260 Km respectively from Coorg, and it is not to mention that the latter one is better connected by rest of the India. People taking the route of train, can come down to Mysore which is around only 114 Km from Coorg Hill Station. Well connected with Mysore, Mangalore and Bangalore by roads, Coorg holidays are often the intention of weekend trip.